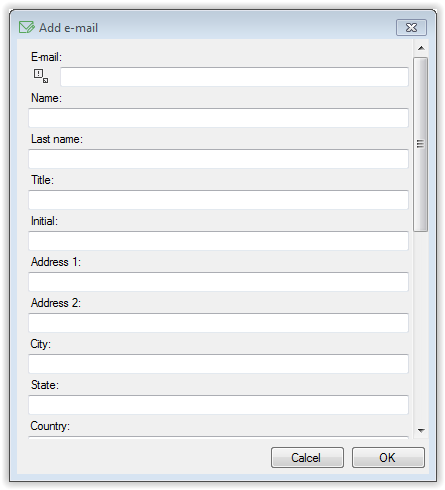 Adding e-mail to the group make when you see its contents by clicking on the menu File, next select Groups, select a group and click on the left menu item Edit group e-mails. Click on the menu on the left side of the option Add an e-mail. In the new window in the field E-mail, enter a new e-mail the person whom we are going to add to the selected group. You can also enter other data in the designated field. At the end click on the button OK.